Does it occur to you that after eating lunch or dinner, you crave for something light and sweet to cleanse your palate? 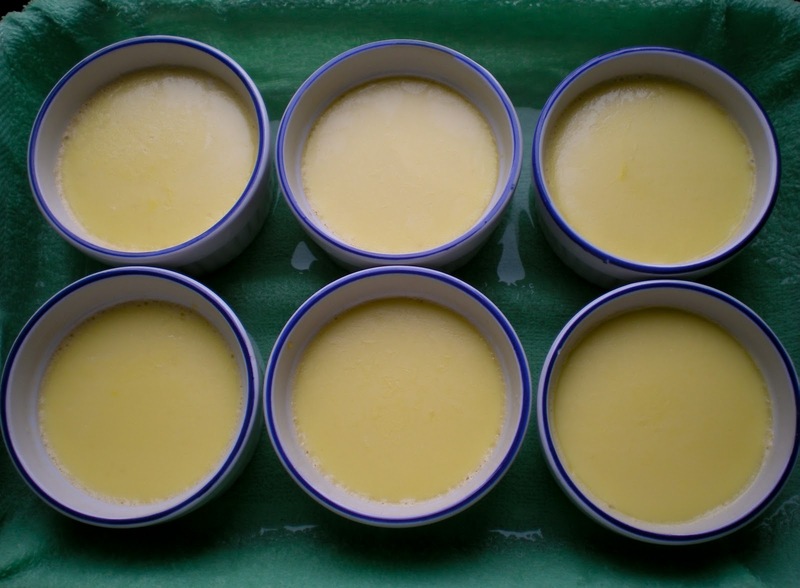 Crème caramel is one of these desserts that awaits for you in the fridge. Once you are in need for desserts, you only need to take it out from the fridge, run a sharp knife around the sides of the flan, and turn over onto plate. The caramel syrup runs over the flan, and it is ready to be indulged. 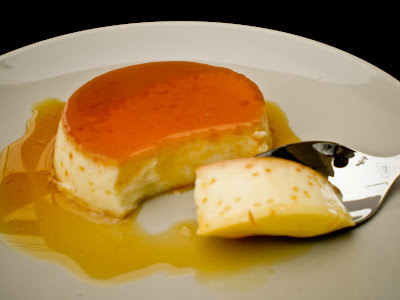 Flan is quite popular in several countries, notably in Latin America, France, and Japan. The variations are quite minimal. Since I never grew up using butter or cream, even though French cuisine is one of my forte, I tend to develop an alternative recipe to make a dessert which is low in fat and low in calories. This classic dessert usually requires heavy cream, but you can still make a good crème caramel with only whole milk, or even with coconut milk. 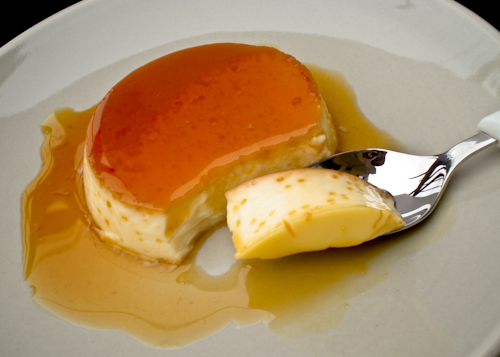 The caramel flan is smooth, silky, and creamy. Not overly sweet with an underlying hint of vanilla, it reminds me of a light version of a crème brûlée. If this is your first time making a caramel, it takes a few tries to get used to it. When I did my tarte tatin, my caramel burnt twice, before I got it correctly. The trick is to not lose sight of it. 1. Preheat oven to 325F. Place a cloth at the bottom of a 13'' x 9'' baking pan. 2. Prepare the caramel. 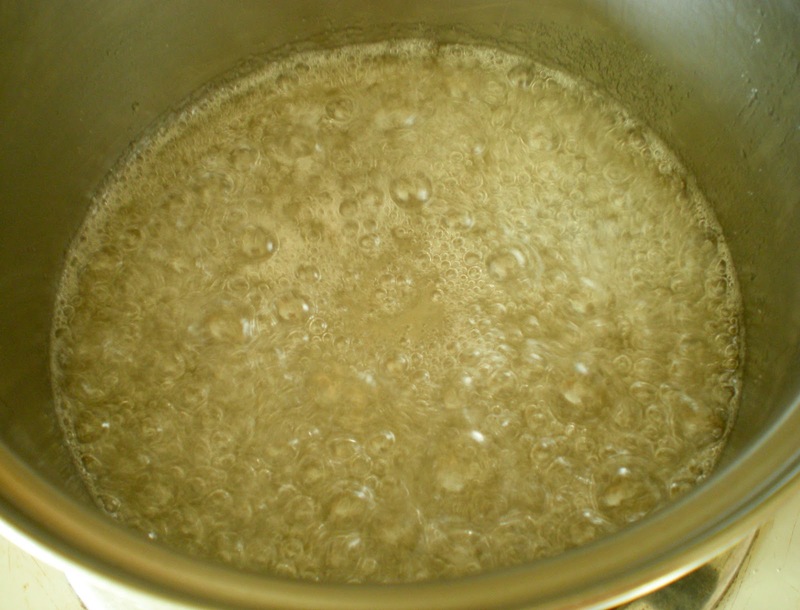 In a saucepan, heat water and sugar over medium heat. Do not stir. The sugar will froth and start to change colour. Remove from heat when the caramel start to turn a honey-gold colour. 3. Immediately, pour the caramel over 6 ramekins and tilt each ramekin to coat the bottom. 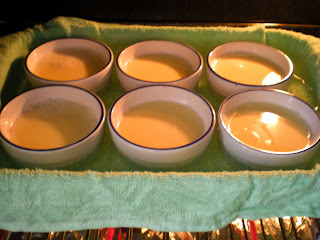 Transfer ramekins to the prepared pan and pour hot water halfway up the ramekins. 4. In another saucepan, heat milk and vanilla over medium heat until hot. Do not boil. 5. In a bowl, whisk eggs and sugar until blended. Slowly incorporate milk mixture into the egg mixture while constantly whisking. 6. 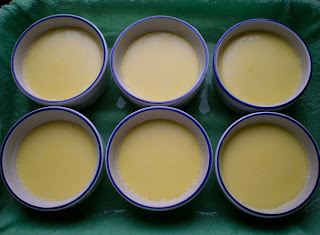 Sieve custard and pour mixture into prepared ramekins. 7. Bake for about 35 mins until centre is lightly wobbly or until a knife inserted in centre comes out clean. 8. Let it cool for 30 mins, cover with cling film, and chill for at least 3 hours or overnight. 9. Just before serving, run a blade around the ramekin and flip onto a plate. Serve cold. This is one of the dessert i wanted to try long ago. Yours look so yummy and good! 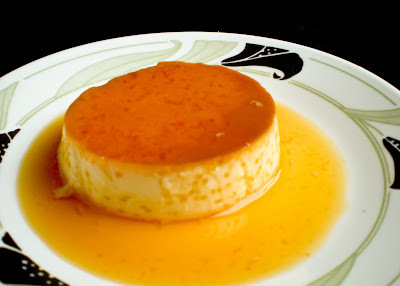 My most favourtie creme caramel,i can die for it..
My favorite, your looks extremely delicious. Have a nice day. Talk about the perfect caramel flan! Fantastic! Great pictures! Funny, I used to dislike flan when I was a kid. Or rather, I used to think it was kind of boring, compared to, say, chocolate mousse. I love it now, though! These look delicious. I've never made flan but my daughter in law has made these many times. Very addicting! i hope to try this out one day. can i know if the syrup on the plate are the caramel from the ramekins or they are some other syrup that you poured over? Once you invert the ramekin to a plate, the syrup will drool all over your custard. LOL...I remember burning my first caramel sauce too. I'm a strong believer of "practice makes perfect" and my subsequent batches of caramel did turn out fine. 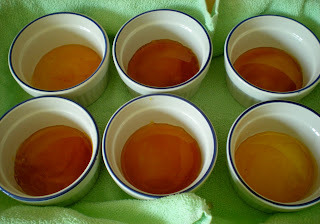 Your creme caramel look very smooth and silky...Yum! 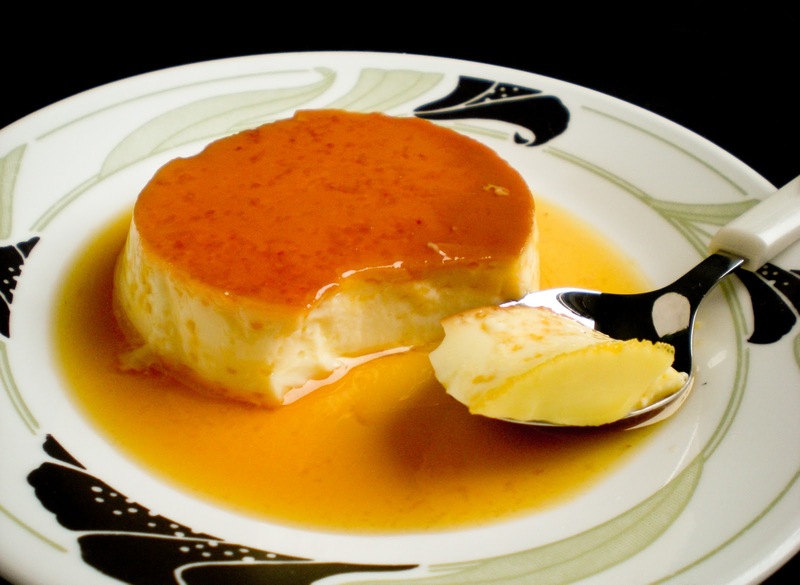 Your creme caramel looks perfect! So smooth and delicious! How I wish for one right now! Yum! Ooh.. I love this caramel flan very much and made it quite often many years back. I think is time to make this for Christmas. Very delicious caramel flan... nice dessert after dinner. Thanks for stopping by at my blog. This is such a classic recipe..I've never tried it though! I'm too scared. Yours looks absolutely perfect and smooth. Well done. I loike your step-by-step photos and directions! Beautiful flan!